Pardon The Punctuation…San Antonio isknown for the Alamo and for sports arenas whose air conditioning doesn’t work. Now it can be known for something else!!! A great happy hour place just blocks away from the riverwalk. 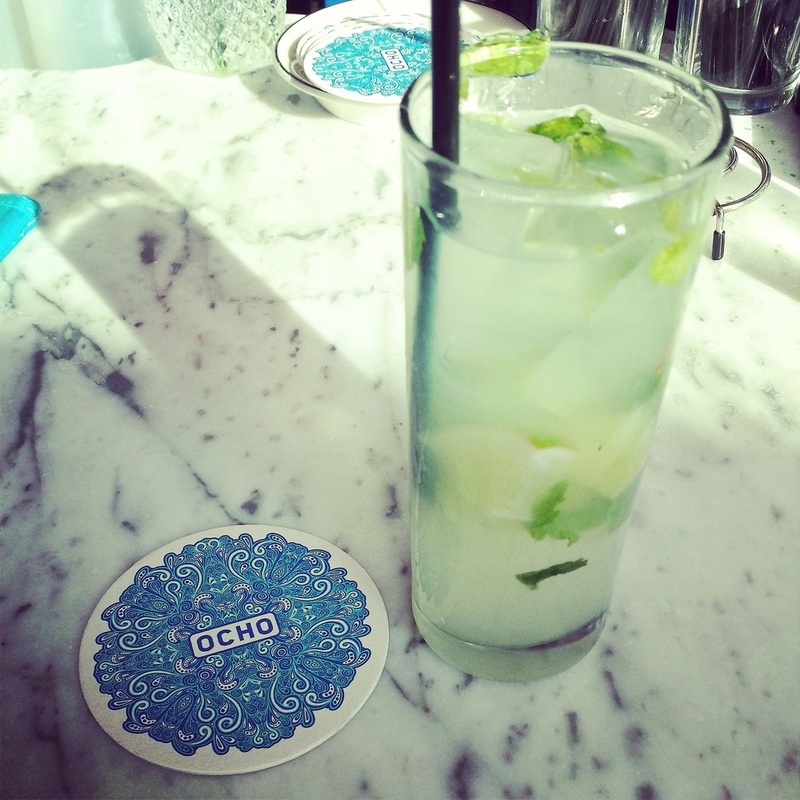 Ocho restaurant is located at the stunning Hotel Havana. I definitely have to stay there and review it in the future. I heard about the spot by taking to social media and asking my audience where I needed to go that wasn’t a douchey tourist trap. They answered and I’m so glad I asked. On the happy hour menu you’ll find $4 mojitos and a handful of $5 appetizers that will fill the belly. The tostones, quesadilla, and salsa were the shizzzzznit and I don’t say that lightly. The decor, food, and cocktails seemed curated like a fine museum. If you’re in San Antonio make sure you check out this spot for an experience that will transport you to a happy hour wonderland.